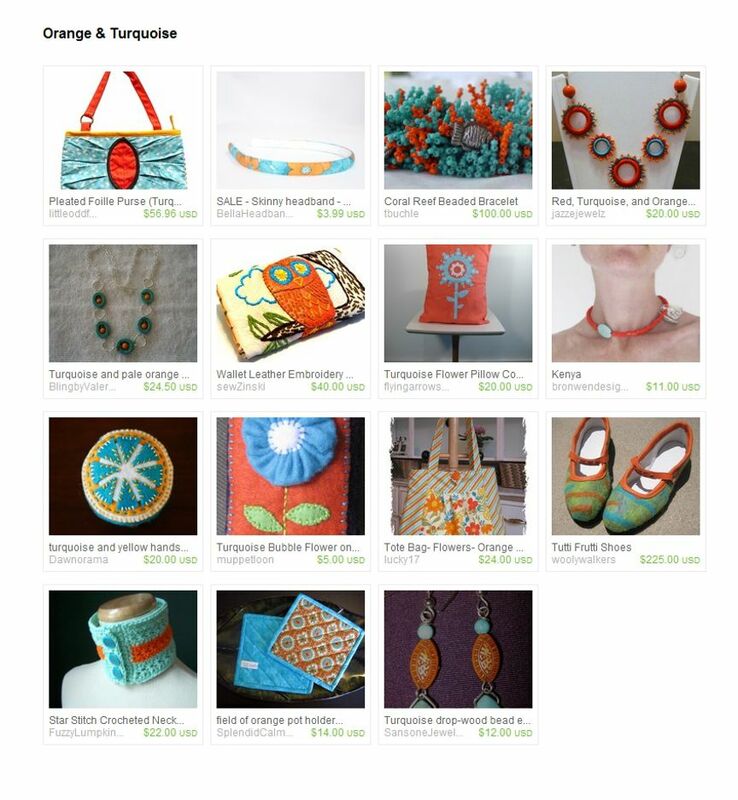 Many thanks to coffeecraze217 for including my Coral Reef bracelet in her Etsy treasury. You'll find her shop here. This color combo rocks, doesn't it? We call this combination "complimentary", which places them exactly opposite each other on the wheel. They compliment each other simply because they contrast so highly with each other, making the pretty much opposites. I hope you are having a great holiday! Did you get any beading done? *sigh* Lucky you!